Property tax has been frozen for the last number of years, but there is talk about overhauling how the tax is calculated. 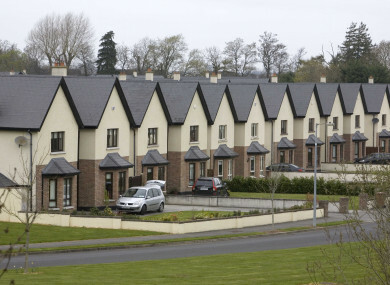 THERE’S BEEN A lot of talk about possible changes to Ireland’s property tax recently. Changes to the property tax regime were signalled by Housing Minister Eoghan Murphy when he said he favours a new calculation of the tax. The minister said he favoured a new system that wasn’t based exclusively on market value, but he added that he would be guided by the process Finance Minister Paschal Donohoe will be setting up in the current months ahead. Let’s take a look at property tax, why we have it in the first place, and why there hasn’t been an increase in the tax for a number of years. An annual Local Property Tax (LPT) applies to all residential properties in the State. The tax came into effect in 2013 and is collected by the Revenue Commissioners. Basically, if you own a residential property, you are liable for payment of the tax. When it was first introduced, there were mass protests against the new tax, particularly due to the timing, as Ireland was right in the middle of the recession. Despite the demonstrations, the average compliance rate of payment stands at 97%, resulting in €463 million. The LPT is a self-assessed tax where the homeowner calculates the amount of tax they owe based on a rough estimation of the value of their property. You can see Revenue’s valuation guide for estimating your home’s worth here. For example, if the market value of a residential property is €245,000, the property, it would belong in the €200,000 to €250,000. The midpoint value of that band is €225,000, and with the tax of 0.18%, it would work out that the homeowner would pay €405 for a full year. Since 2015, local authorities can vary the basic LPT rate on residential properties in their area. The basic rates of LPT are 0.18% and 0.25%. These rates can be increased or decreased by up to 15%. Why has the property tax rate been frozen? The freeze on property tax followed the recommendations of a report by former civil servant Dr Don Thornhill. While it had originally been envisaged that the May 2013 valuation of properties would only be valid until 31 October 2016 when another round of valuations would take place to account for property price increases and home improvements, the report recommended a delay. So, next year another round of valuations is due, right? That’s right, but because house prices have been constantly rising in the past several years, politicians are concerned that the LPT will rise dramatically in November 2019, when the valuation date of March 2013 is to be reviewed by the government. The revenue generated from the LPT is intended to fund local authorities, so a reduction in the tax would mean either they would need increased funding from elsewhere, or reduce their expenditure. Due to the disparity in property prices around the country, the money raised in each county does not necessarily go to its local council. Revenue collected from Dublin properties, for example, is distributed around the country. Will property tax continue to be linked to house prices? It looks likely there will be some sort of reform of the system, though what form that will take remains to be seen. Last year, Taoiseach Leo Varadkar said he would hope the property tax wouldn’t be increased based off inflated house prices caused by the country’s housing crisis. In September, Varadkar said that without a change of policy or without a government decision, some people would be facing a steep and sudden increase of the property tax in 2019, not just in the greater Dublin area but also in other many parts of the country. I gave the assurance that people would not see sudden or dramatic increases in their property tax in 2019. Paschal Donohoe also assured those with concerns that householders would know “well in advance” of what the government’s plans for the LPT would be. So, now it is 2018, the issue of what to do with the property tax is on the government’s agenda. The government has committed to examining the tax this year, and while Minister Murphy is keeping schtum on what alternative calculation might be used, some are floating the idea of linking it to square footage perhaps. But changing the system appears to have cross party support. Chairman of the Committee on Budgetary Oversight, Fine Gael’s Colm Brophy, said homeowners need to be protected from severe hikes. “City and county councils across the country do not need a substantial increase on their income from the six year old tax. “Homeowners should not face any hikes based on a dysfunctional market which has seen property values increase at varying rates nationwide,” he said. Fianna Fáil’s Barry Cowen said there needs to more fair way of calculating the tax, telling RTÉ’s Sean O’Rourke this morning that other options could be the square footage of the house calculation or site tax. He said it was never envisaged that house prices would rise in the way they have done in the last number of years. Cowen said he is in favour that the tax is frozen until 2019 or even 2020. Transport Minister and Independent Alliance member Shane Ross described the current tax as “perverse and crude” and that waivers need to be given to older people who might live in high-value homes, but are cash poor. Green Party leader Eamon Ryan agreed with Cowen that a site tax would be more fair. Murphy said wouldn’t be making any assumptions about what changes might be made to the property tax regime, stating that a number of proposals will be considered before a final decision is reached. It’s understood that Murphy will meet with the finance minister this week on the issue and a cross-departmental review group will be established. Read: So will the Local Property Tax be increased, or not? Email “Explainer: It's looking more likely that the property tax system will be overhauled ”. Feedback on “Explainer: It's looking more likely that the property tax system will be overhauled ”.